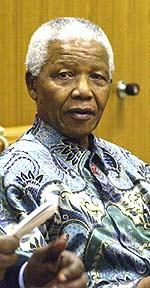 Nelson Mandela with information about his life and his achievements. I am also going to have links about Nelson's home country, South Africa, his Nobel Peace Prize, and the organization that he belonged to, the ANC. here to go to South Africa.